The Leo Baeck Institute’s Library and Pamphlet collection is a valuable resource for the study of German-Jewish history and culture. In 2017, the LBI has forged a new strategic partnership with Queen Mary University Library Services, allowing for better access to this resource. Over the last year, large parts of the library have been catalogued in collaboration with Queen Mary University Library Services. 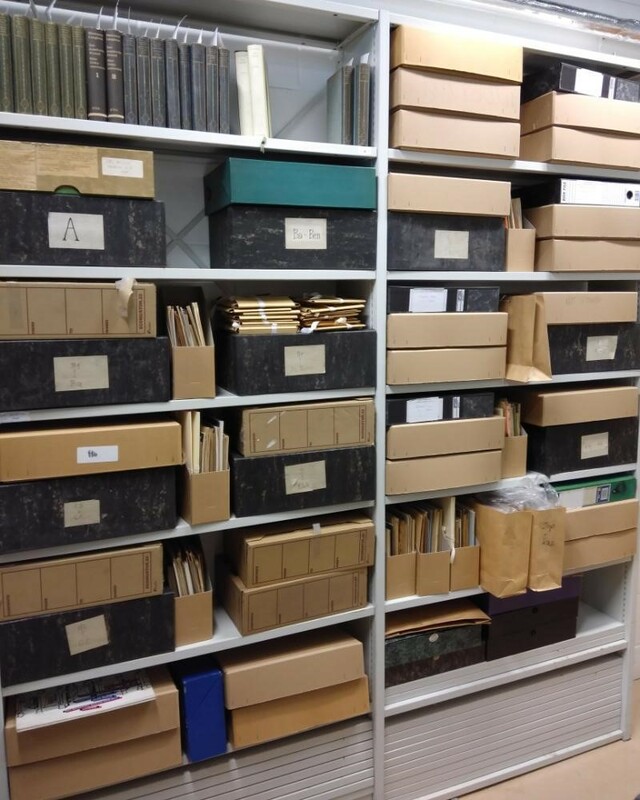 The next phase of work on the Leo Baeck Collection will focus on the pamphlet collection (image below), which contains a mixture of personal documents, unpublished manuscripts, and publications by Jewish institutions. In 2019, the LBI has won funding by private foundation for professionally cataloguing this resource for the first time, and to make it accessible to the public through online finding aids. This will be complemented by a display in the university Library, showcasing the archive material, which promises to open up many avenues for future research, particularly regarding networks of Jewish émigré scholars in London, and their exchanges with Jewish institutions on the continent. Already a first survey of the material has revealed items of historical significance and interest, including uncorrected proofs for Martin Buber’s collection of essays Pointing the Way, a typescript of Hanna Bergas’ memoire Fifteen Years – Lived Among, With and For Refugee Children, and works by two former directors of the Leo Baeck Institute London, Arnold Paucker and Robert Weltsch. 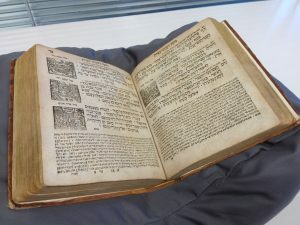 The Institute’s library contains books, journals and pamphlets relating to German-Jewish history and culture. 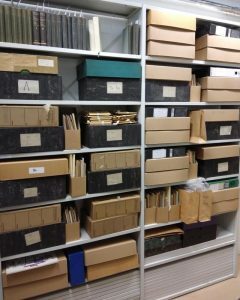 The collection is made up of over 4,500 books, 30 metres of journals, and 50 boxes of pamphlets. It is a multilingual collection, with works in Hebrew, German, Italian and English. Some of the items, mainly German titles from the pre-War period, are not held by any other library in the UK. The book collection is significant in the number of personal stories and autobiographical accounts it contains relating to the Holocaust. One example is In the beginning was the Ghetto, an English translation of 21 notebooks written by the journalist and playwright Oskar Rosenfeld, meticulously recording life and conditions in the Łódź Ghetto from 1942-1944. Rosenfeld and the other inhabitants of the Ghetto were later deported to Auschwitz, where he was killed. Another autobiographical account is The Children’s House of Belsen, written by Dutch Holocaust survivor Hetty Verolme. Hetty and her family were sent to the concentration camp at Belsen in 1943, when Hetty was 13 years old. Her story describes her time in the ‘Children’s House’ at Belsen. In December 1944, 54 Dutch children who had been left to die were rescued by Sister Luba Tryszynska-Frederick – ‘The Angel of Belsen’ – who was also a prisoner in the camp. Sister Luba and other prisoners cared for the children in their barracks, which became known as the ‘Children’s House’, and Hetty helped to care for some of the younger children. When the camp was liberated in April 1954, 52 of the children had survived. Hetty later immigrated to Australia where she established a Trust to support survivors of the Holocaust and their families. However, Hetty and Sister Luba’s story still remains relatively unknown. Most of the books in the Leo Baeck Collection date from the twentieth century, but there are some historical items too. This includes a mahzor (book of liturgical prayers) for the feasts of Sukot, Pesach and Shavu’ot dating from 1784. A mahzor (book of liturgical prayers) for the feasts of Sukot, Pesach and Shavu’ot, dating from 1784. 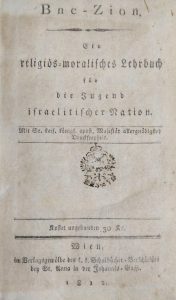 There is also a copy of Naphtali Herz Homberg’s Bne-Zion, a religious and moral manual for young people dating from 1812. Bne-Zion was commissioned for use in all the German-Jewish schools within the jurisdiction of Habsburg monarchy. When Jewish couples wished to marry, they were examined on the content of the manual. The manual was allegedly so difficult to understand, that many couples resulted to bribing officials in order to achieve their Bne-Zion certificates. Everyone is welcome to use the Leo Baeck Collection – you do not need to be part of the University. The books can be found on the Library catalogue. Due to the special nature of the collection, these books can only be viewed in the Archives Reading Room upon advance request and cannot be borrowed. If there is something you would like to see, please email the Queen Mary’s Archives and Special Collections team on archives@qmul.ac.uk to book an appointment. The Archive is open Monday-Friday, 9am-4pm.